Clues will be posted up daily. Submit your answers in the comments section in New Zealand Natural Facebook App. 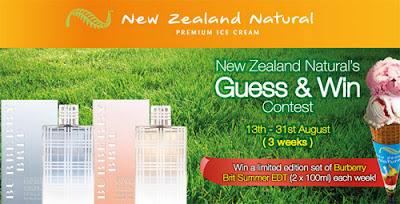 Visit New Zealand Natural Facebook fan page for more details. This contest is awesome! Limited edition Burberry Perfume! WORTH ALOT I THINK!